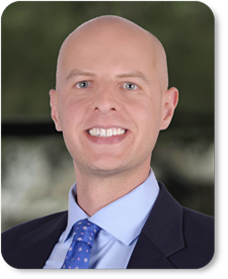 Jesse joined Capstone Headwaters in 2018 and currently serves as a Vice President with the Boston investment banking team. His primary responsibilities include producing process materials, performing financial analysis, identifying strategic and financial buyers, managing the due diligence process, and many other deal-related tasks. Prior to joining Capstone, Jesse gained over 7 years of M&A, Corporate Finance and Entrepreneurship experience, including several years at J.P. Morgan in New York City. While with J.P. Morgan, Jesse worked in the Diversified Industries and Latin America M&A teams, advising clients across various sectors in both domestic and cross-border transactions. More recently, he gained investor relations and corporate development experience at B2W Digital, a leading e-commerce company backed by 3G Capital, in Rio de Janeiro, Brazil. In addition to his native English, Jesse also speaks Spanish and Portuguese.